Vacuum cleaner. Exhibit at the Bakelite Museum. 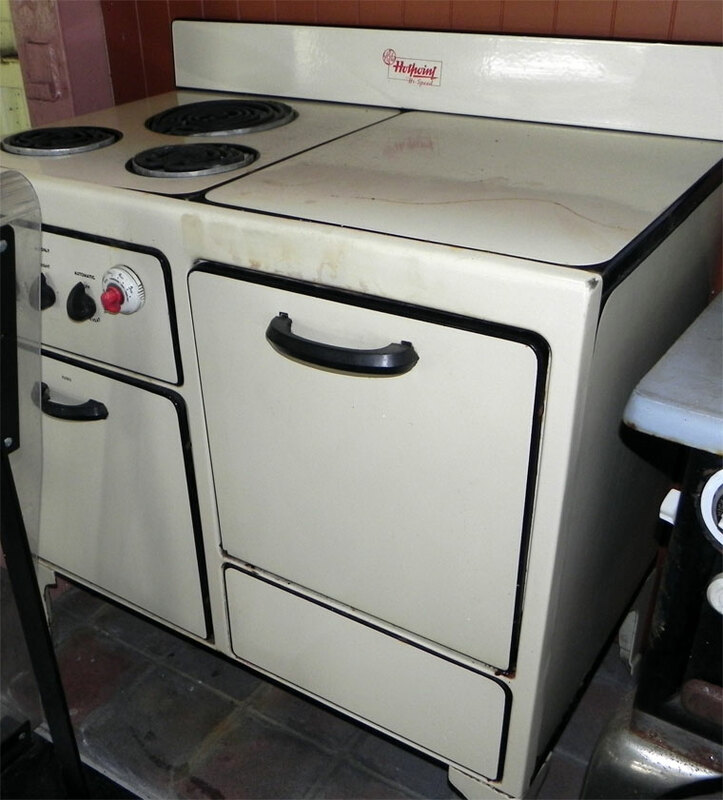 Table-top Cooker. Exhibit at Waddamana Power Station, Tasmania. of 24 Newman Street, Oxford Street, London, W1. Telephone: Museum 9144/9. 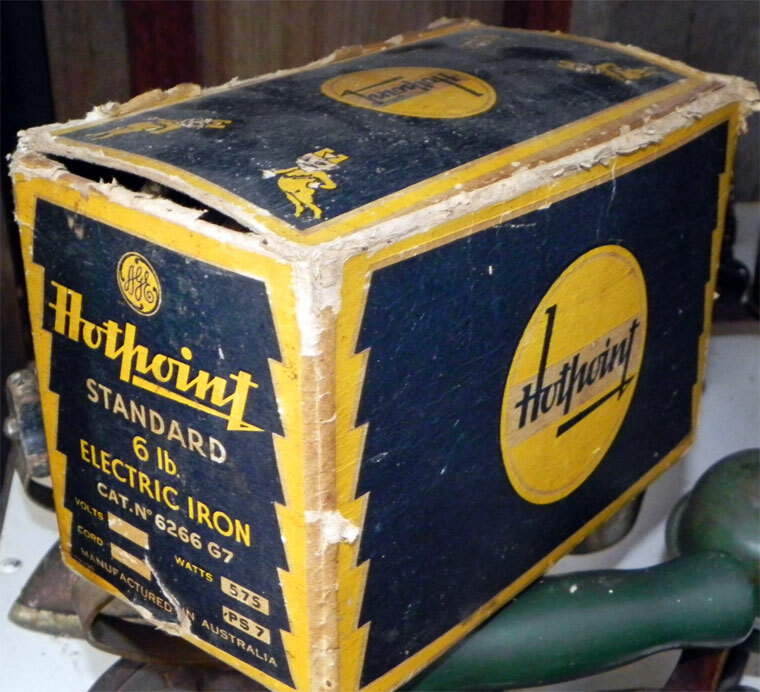 Telegraphic Address: "Hotpoint, Rath, London"
1911 The Hotpoint Electric Heating Company was formed in the United Kingdom. 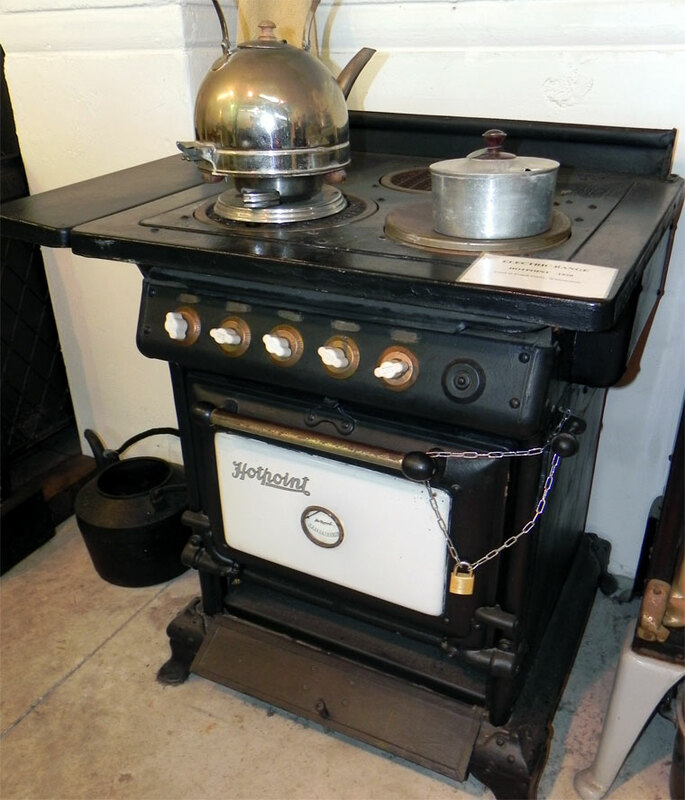 1920 Hotpoint Electric Heating Co and General Electric Co (GE) of the United States established the Hotpoint Electric Appliance Co to market GE-branded goods in the UK. 1925 Patent - Improvements in and relating to electric radiators. 1929 The formation of Associated Electrical Industries (AEI) brought together BTH and Metropolitan-Vickers, companies in which General Electric Co (GE) was closely involved. Hotpoint was in the BTH part of the group. 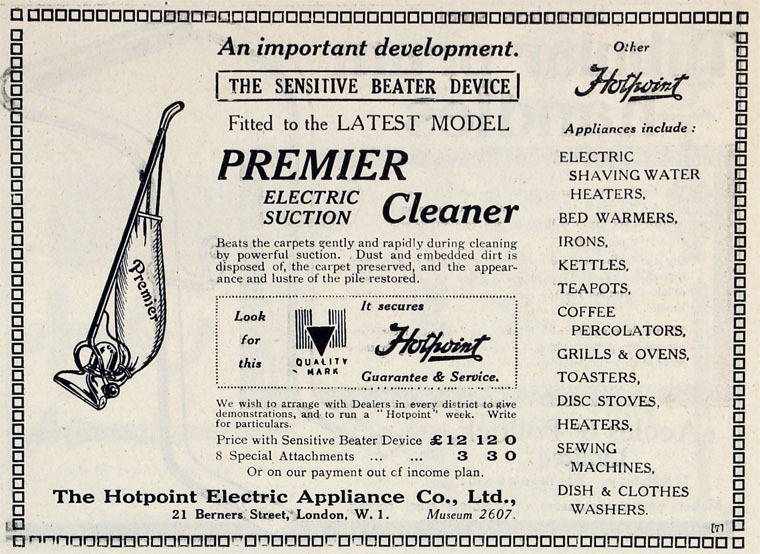 1934 BTH-made domestic appliances, except refrigerators, were marketed through Hotpoint Electric Appliance Co, a subsidiary of BTH. 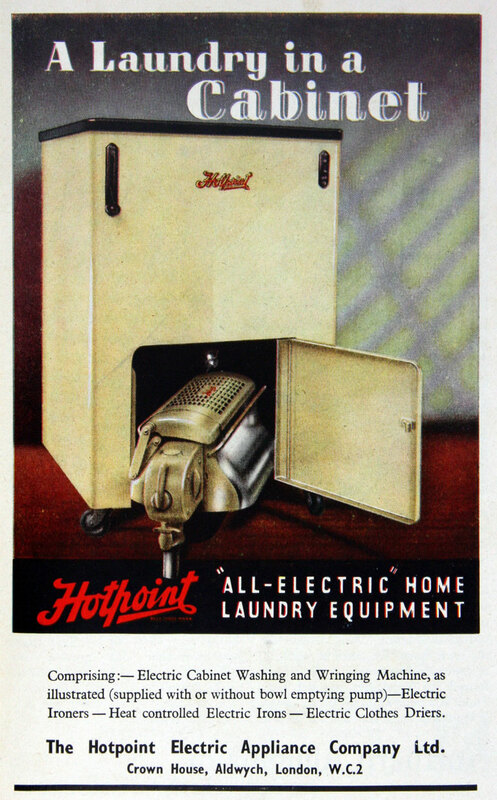 1949 Hotpoint incorporated Premier Electric Heaters and International Refrigerator Co, both owned by AEI; the Peterborough factory of BTH, making refrigerators and washing machines, would be incorporated at a later date. 1956 Patent - Improvements in the manufacture of electric heating elements. 1958 Announcement by AEI-Hotpoint of major expansion of its Llandudno Junction and Peterborough factories. 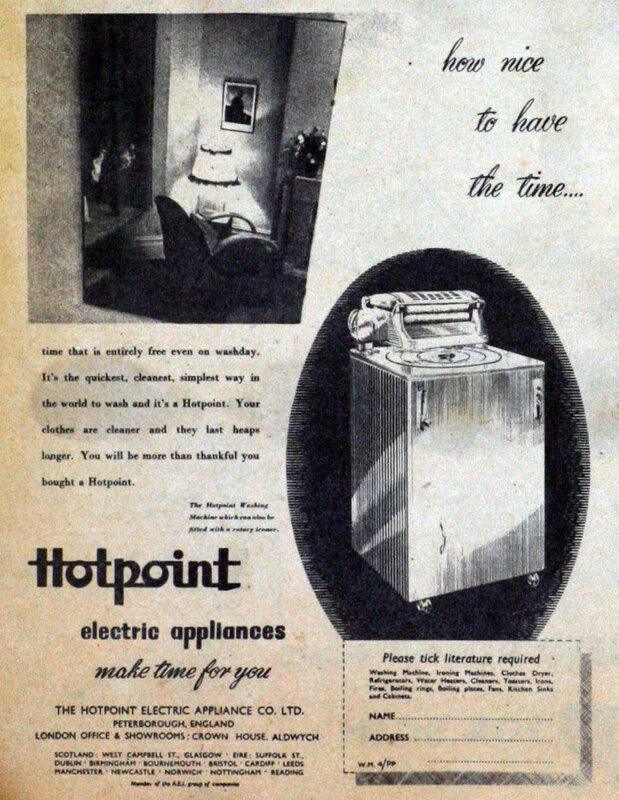 1960 AEI formed new management company AEI Appliances to control AEI-Hotpoint and AEI-Gala, the export business of Hotpoint. 1965 Sold a Peterborough factory to Perkins Engines. 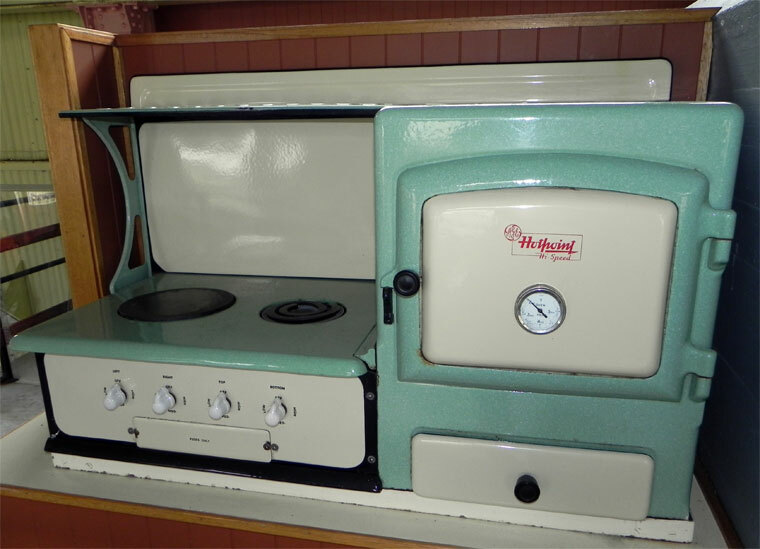 1966 AEI and EMI formed British Domestic Appliances to bring together their Hotpoint, Morphy-Richards, Astral and Gala products. 1967 AEI became part of GEC group. 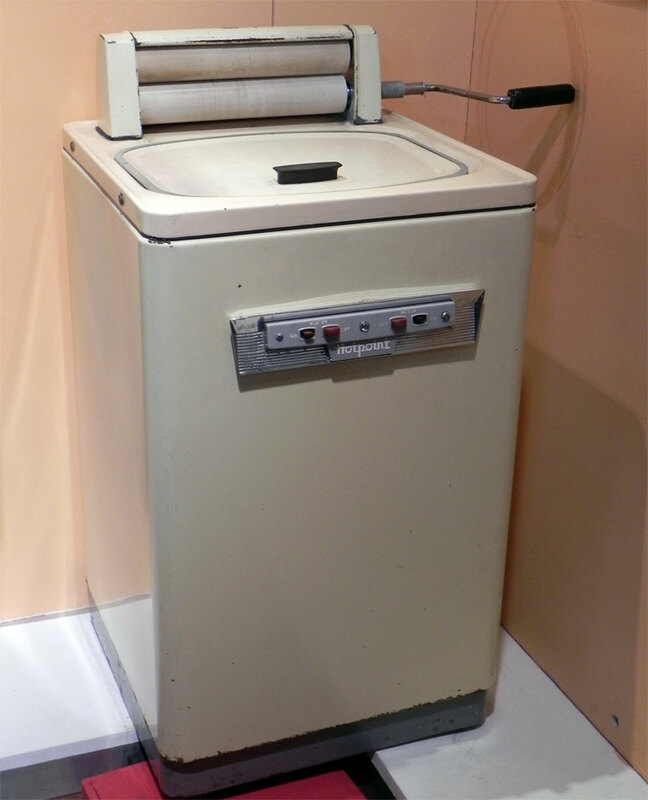 1974 GEC acquired Schreiber and merged it with British Domestic Appliances; Schreiber shareholders retained 37.5% with a view to eventual flotation. 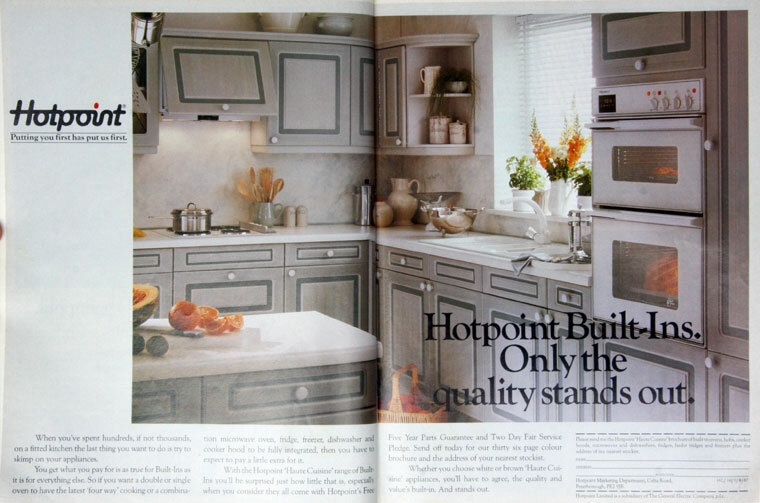 1989 Hotpoint, as a subsidiary of GEC, was merged into a new division of GEC, General Domestic Appliances (GDA). Also in 1989 GE purchased a 50% share of this new division from GEC. 1998 GDA was reorganised with the Redring and Xpelair brands split to become GDA Applied Energy. 2001 December: Merloni Elettrodomestici purchased the other 50% from Marconi plc (formerly GEC). 2005 Merloni renamed itself Indesit Company and Hotpoint continued as a major brand of that company. Hotpoint is a major brand of electric appliances or "white goods" today owned by Indesit and General Electric.